Events unfolding in Libya demonstrate that so-called realism, a combination of Machiavellian realpolitik and moral relativism that refuses to identify evil systems as evil until it is too late and the body count unacceptably high is dangerously naive and unrealistic. In addition in the effort to make peace with evil and engage it in commerce a policy of appeasement and collaboration turns democratic nations and institutions into accomplices of repression and in extreme instances genocide and in some instances creating existential threats to their own country's existence. 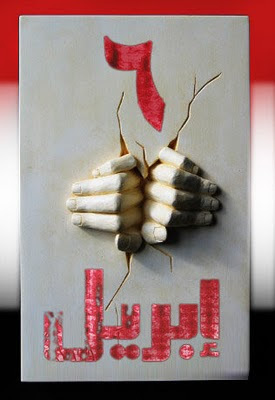 Today Gadhafi and his henchmen are brutally slaughtering their own countrymen in their homes and in the streets of Libya. Libya is thousands of miles away from the United States. So why should the average American care about the mass murder of these people?Americans need to care because the U.S. government has empowered and enabled the Gadhafi regime in their continual use of force and violence to maintain a dictatorial rule. Unbelievable but true. Currently, the United States is importing billions of dollars in oil from Libya. Quietly, it is also using U.S. taxpayers’ dollars to support the Libyan government with numerous programs, even after Gadhafi ordered a variety of terrorist attacks killing hundreds of innocent American civilians. This is an outrage.Unfortunately, America’s need for commercial dominance and our addiction to oil has put us in business with countries whose rulers are among the leaders in abusing the human rights of their own people. Time and time again, we see a government’s pursuit of money and power on a collision course with justice and people’s human rights. Depending on the country, these betrayals play out in many different ways, sometimes bluntly and violently, as in Libya, but most often silently and without much notice. In “civilized countries” like the United States and the United Kingdom, when their citizens are attacked, brutalized, held hostage or murdered, our leaders are quick to voice outrage and indignation, publicly condemning violence and promising swift justice and accountability. Privately, it’s another story and actions speak louder than words. These very same “civilized leaders” immediately take action to mitigate financial loss, feverishly looking to protect what is much more important to them than the rights of their own citizens. They protect what keeps them in power – money and their administration’s commercial interests . On Monday, November 17, 2008 the Washington Post reported that President George W. Bush spoke with Gadhafi and discussed closure over a "painful chapter" in US-Libyan history. 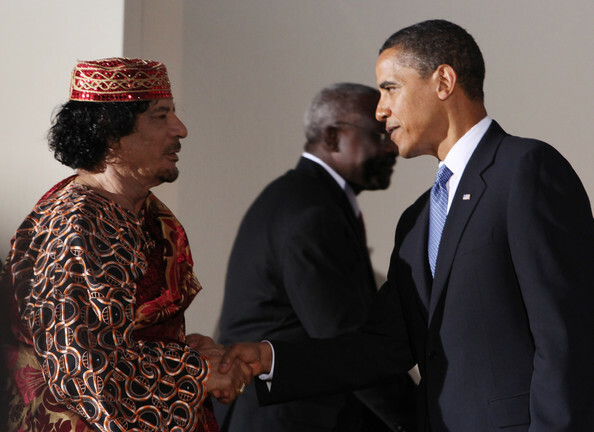 On May 15, 2006 Time Magazine in an article titled "Why Gaddafi's Now a Good Guy" described how the Bush Administration normalized relations with Libya "when Secretary of State Condeleezza Rice announced that the U.S. was restoring full diplomatic relations with Libya and held up the Great Socialist People's Libyan Arab Jamahiriya as 'a model' for others to follow." 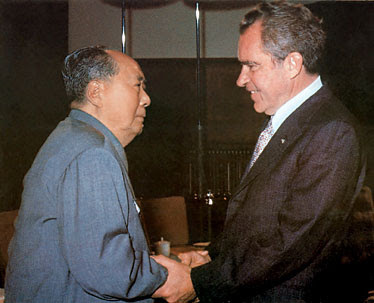 "Realism" led to a policy of transferring the manufacturing base of the United States and much of the Western world to Mainland China along with high technology to a regime that has murdered 65 million of its own people and inspired one of the worse per capita mass murderers of the 20th Century Cambodia's Pol Pot. This policy is not only immoral but national suicide. Sadly, the United States has been down this road before in the early 20th century when American companies such as Ford and IBM assisted the Nazi Third Reich in its economic development. IBM engineered a strategic business alliance with Nazi Germany and provided the punch card technology that would be used in managing the vast apparatus of the Nazi death camps. 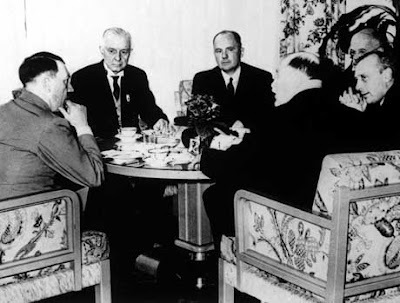 Thomas J. Watson, (middle) head of IBM and president of the International Chamber of Commerce, and members of the ICC's board meet with Adolph Hitler in 1937. According to a October 8, 2002 article in The Village Voice "the infamous Auschwitz tattoo began as an IBM number. And now it's been revealed that IBM machines were actually based at the infamous concentration-camp complex." 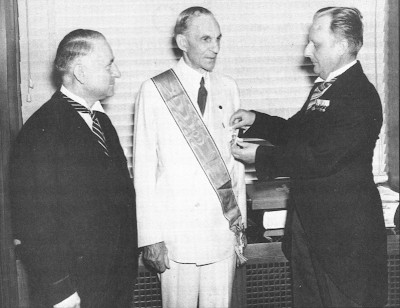 With regards to the Ford Motor Company, Henry Ford received, in July 1938, the Grand Cross of the German Eagle medal from the Nazi government (photo above). He had built auto factories both in the Soviet Union and in Nazi Germany doing business with both odious regimes. In the case of doing business with Imperial Japan and the Third Reich the price tag in American lives alone was 292,131 dead on the battlefield. Sadly, history repeats itself because human vices such as short sighted greed continue to have great impact on policy hopefully the price tag this time around will not be as high as the last time. In Cuba, February 23 and February 24 are now joined together in honoring five men who died while trying to save the lives of others. There deaths are separated by fourteen years and one day, but they are joined by the non-violent philosophy of Mohandas Gandhi and Martin Luther King Jr.
Armando Alejandre, Carlos Alberto Costa, Mario Manuel de la Peña, and Pablo Morales were engaged in a constructive program of non-violence saving the lives of Cuban rafters before they died of dehydration or starvation on the high seas in small rafts. The entire operation known as Brothers to the Rescue was a grassroots movement funded by the community through donations. Brothers to the Rescue actively collaborated with both The King Center in Atlanta, Georgia and Gene Sharp of the Albert Einstein Institution. Fifteen years ago today as they flew along the Florida Straits searching for rafters (balseros) they were blown out of international air space by air-to-air missiles fired by Cuban MiGs under the orders and chain of command of Fidel and Raul Castro. Orlando Zapata Tamayo, a human rights defender paid a high price for refusing to look the other way. Orlando refused to participate in evil even if it meant passive acceptance. Martin Luther King Jr. spoke clearly on the matter: "He who passively accepts evil is as much involved in it as he who helps to perpetrate it." Yesterday, a number of people of good will initiated a 24-hour fast in remembrance of Orlando Zapata Tamayo that will end today at 3:00pm as they also take part in acts of remembrance for Armando Alejandre, Carlos Alberto Costa, Mario Manuel de la Peña, and Pablo Morales. Today, February 24, 2011 between 3:21pm and 3:28pm the time when the first and second planes were shot down the silent vigil held at Florida International University since 1996 will take place at the main fountain on campus with the family members of the victims rain or shine. Bring an umbrella if you think it will rain. Standing in silence for seven minutes reflecting on this crime and in a silent demand for justice. In addition people of good will around the world are encouraged to hold a moment of silence and reflect on their sacrifice. 365 days since prison officials announced the death of Orlando Zapata Tamayo. He had suffered beatings, torture, and years added to his unjust prison sentence because Orlando continued to denounce human rights abuses in prison. He refused to look the other way and remain silent. The secret police and prison guards drove him to the last recourse of a non-violent activist: the hunger strike. Even there the regime sought to torture and humiliate denying a man on a water only hunger strike - water. It is believed that act of torture contributed to the failure of his kidneys and to his death. Difficult days followed with new outrages committed by the Cuban regime. Attacks against Orlando Zapata's family and a campaign of harassment against his mother, Reina Luisa Tamayo. Regime rent a mobs physically assaulted the Cuban Ladies in White while regime apologists claimed the bad press was part of a media conspiracy. 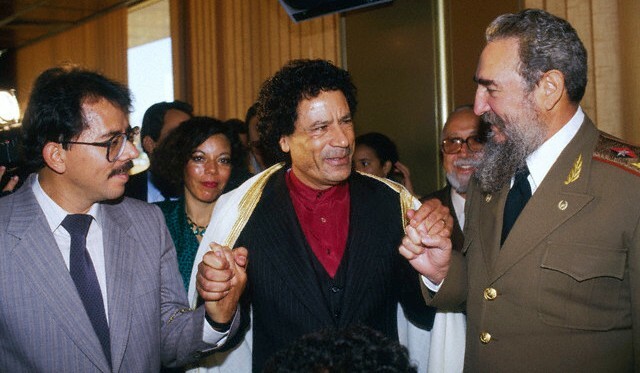 Witnessing Gaddafi's brutal tactics and language in Libya is sadly all too familiar to Cubans on the island. As is the threat that expressing one's desire for freedom with concrete action (other than seeking exile) is a death sentence. Nevertheless, the last year demonstrates that one man can shake an entire regime and that a group of women peacefully marching and attending Sunday Mass asking for their loved one's freedom is considered a national security threat by the dictatorship. Cubans have been witness to the power of nonviolent resistance. What Vaclav Havel called the power of the powerless. Friends across cyberspace are remembering Orlando Zapata Tamayo, documenting the ongoing crackdown against the democratic opposition and requesting that we keep Orlando and his family in our prayers. Amnesty International is urging the Cuban government to end its harassment of Orlando Zapata Tamayo's family. Yoani Sanchez, the award winning Cuban blogger, has a remarkable essay titled The Graveyard Police and image dedicated to Orlando Zapata (reproduced above). Today at 3:00pm I will join with friends around the world and in Miami for a 24-hour water only fast in honor and remembrance of Orlando Zapata Tamayo and the next day join in a silent vigil for Armando Alejandre, Carlos Alberto Costa, Mario Manuel de la Peña, and Pablo Morales all murdered by the regime in Cuba on February 24, 1996 as they searched the Florida Straits in two Brothers to the Rescue planes in the hope of saving the lives of Cuban rafters. These five men demonstrate that the power of love (agape) and sacrifice outlives that of the hatred and narcissism that fuel the dictatorship in Cuba. It is for that reason that I can say with confidence that Orlando Zapata Tamayo, Armando Alejandre, Carlos Alberto Costa, Mario Manuel de la Peña, and Pablo Morales will live on long after the Cuban regime has died and become just a bad memory as Cubans become, once again, the authors of their future. 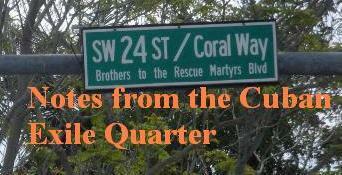 February 23, 2010 the day Orlando died defending Cuban dignity and February 24, 1996 the day Armando, Carlos, Mario, and Pablo were brutally murdered as they searched the seas to save the lives of their Cuban brothers and sisters. The days of February 23rd and 24th that for over a century recalled the eve and day of the start of a war will in the future be remembered by a new generation in a new Cuban Republic as days in which nonviolent resistance and human spirit triumphed over violence and materialism forging the foundation of a free Cuba. I look forward to the day that Orlando Zapata Tamayo looks out over Civic Square and over a free Cuba. Amnesty International has urged Cuban authorities to end the harassment of relatives of a human rights activist who died during a hunger strike last year. Reina Luisa Tamayo, whose son Orlando Zapata Tamayo died at a Havana prison in February 2010, told Amnesty International she was arrested by state security agents who threatened to stop her and other mourners from commemorating the anniversary of Orlando’s death in church, on 23 February. “The fact that the Cuban authorities have so far failed to initiate an investigation into Orlando’s death is outrageous and preventing his family from properly celebrating his life is a scandal,” said Javier Zuñiga, Special Advisor at Amnesty International. Tamayo, 72, her husband and another activist, Daniel Mesa, were forcefully detained on Friday 18 February by more than a dozen local security agents as they were walking around their village in Banes, north-west Cuba. Tamayo and her husband were released 12 hours later and Mesa, two days later. Tamayo said the agents had threatened to prevent her leaving her home and go to the cemetery where her son is buried, in breach of her human rights. “The recent releases of activists in Cuba, who shouldn’t have been put in prison in the first place, will only be meaningful if, once all activists are released, they are able to carry out their legitimate work defending human rights without fear of reprisals,” said Javier Zuñiga. Orlando Zapata Tamayo was arrested in March 2003 and sentenced to three years in prison in May 2004 for “disrespect”, “public disorder” and “resistance”. He was subsequently tried several times on further charges of “disobedience” and “disorder in a penal establishment” - the last time in May 2009 - and was serving a 36 year-sentence at the time of his death in prison. Reina Tamayo said she intends to live in exile in the USA along with a number of her relatives and has been granted all relevant documents by the US authorities. The Cuban government has yet to issue the necessary permits. Amidst calls of the Libyan opposition's request for international intervention to prevent a "blood bath" in Libya and numerous reports of massacres of non-violent opponents by Muammar al-Gaddafi's henchman. Human Rights Watch reported on Friday, February 18, 2011 that security forces there have killed at least 84 in the previous three days. The news today from Libya is even more dire. Troops loyal to Gaddafi shot dead 15 mourners leaving a ­funeral in an escalation of ­violence. According to a Reuters report: "Snipers fired at protesters from a compound to which they had withdrawn, said the resident, who did not want to be named. 'Dozens were killed ... not 15, dozens. We are in the midst of a massacre here,' he said. The man said he helped take the victims to a local hospital." There is plenty of dishonor to go around the George W. Bush Administration took Muammar al-Gaddafi's regime off the list of state sponsors of terrorism in 2006 and resumed full diplomatic relations. Despite the Libyan dictator being implicated in the murder of scores of Americans in the terrorist bombing of the PanAm 103 flight that blew up over Lockerbie, Scotland. To add insult to injury the Libyan terrorist that was captured, tried and imprisoned was freed and returned to Libya to a heroes welcome. 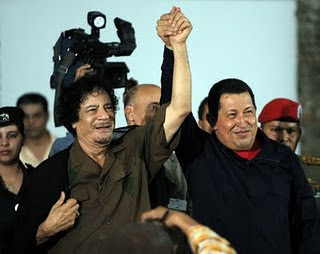 In 2009 the Libyan regime named a sports stadium after Hugo Chavez of Venezuela. However, considering the brutality visited on the people of Libya by its flamboyant tyrant perhaps one should take a second look at the Al-Gaddafi International Prize for Human Rights and some of the individuals awarded the prize over the years: Fidel Castro (1998), Hugo Chavez (2004) and Daniel Ortega (2009). What is truly disturbing is that Switzerland nominated and the United Nations accepted Jean Ziegler into the United Nations Human Rights Council as a human rights expert despite having been one of the founders of this so-called human rights prize. 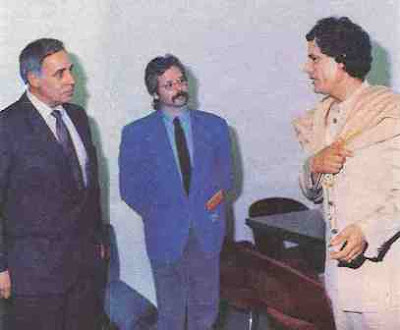 Now is the time to pray for the well being of the people of Libya as they attempt to shake off four decades of tyrannical rule by an individual willing to slaughter huge numbers of his country men to hang on to power and for the people suffering under regime's run by the winners of the al-Gaddafi "human rights" prize. ‘We will hit with an iron fist all those who oppose the revolution’," SMS sent to #Libya mobile phones, via my #Libya source. The term Revolution here is in reference to Gaddafi's 1969 coup against the Monarchy and not the pro-democratic revolution in the streets right now. A Cuban would find the rhetoric familiar but back dated to 1959. Friday, February 18, five days short of marking one year since Orlando Zapata Tamayo died on February 23, 2010 after seven years of psychological and physical torture at the hands of agents of the dictatorship in Cuba, his mother Reina Luisa Tamayo was physically assaulted and detained by the same regime that murdered her son because, according to the police for "lack of respect" for them. The words of the song below originally released in 1982 sadly seem especially relevant today in Cuba. A hymn for Cuba's prisoners of conscience. A song for Orlando and Reina. A year ago Orlando Zapata Tamayo was dying. On a prolonged hunger strike Orlando's sadistic jailers were refusing him water in an effort to break his spirit they tortured him to death. The international press for the most part were not covering Orlando Zapata Tamayo's ordeal and was more interested in the political games the Cuban regime plays. In other words communism is evil. It is "a perversion of nature" that harms and destroys the societies in which it has been applied and the persons forced to live in that system. For decades many so-called leaders in the West refused to recognize and opted for detente. They failed to denounce evil and looked the other way hoping it would go away. That is not how evil is defeated but rather how it expands. It was the same in the 1930s when world leaders refused, at first, to denounce Nazism as evil and looked the other way as this other "perversion of nature" expanded and took more lives and territory and did more damage. That is why it is so important at whatever place you find yourself to do what you can. Do what you can to raise awareness and possibly save a life. Try not to be counterproductive when taking action on behalf of human rights and liberty but do something. The murder of Carlos Costa, Pablo Morales, Mario De La Peña, and Armando Alejandre 15 years ago on February 24, 1996 blown to bits by air-to-air missiles fired by Cuban MiGs was an act of state terrorism carried on the orders of Fidel and Raul Castro and the murder of Orlando Zapata Tamayo through systematic physical and psychological torture are evil acts. These evil acts are also crimes that need to remembered and denounced so as not to be repeated and justice not revenge pursued. Google's corporate code of conduct is summed up with the phrase "Don't be evil." Now if one is to take seriously Martin Luther King Jr's claim that: "He who passively accepts evil is as much involved in it as he who helps to perpetrate it" then to avoid being evil one must resist evil and denounce it wherever you find it. For example, one of the survivors of the Brothers to the Rescue shoot down Jose Basulto claims that the United States stood by passively knowing with an idea of what was going to happen on that Saturday afternoon and did not follow standard protocol to protect American lives and property. This would be an example of the passive acceptance of evil that Martin Luther King Jr spoke about. Another was ignoring the plight of Orlando Zapata Tamayo which gave the regime a green light to finish him off believing there would be no consequences for his death. Later this month on February 23 and February 24 two anniversaries of innocent men extrajudicially executed by agents of the Cuban regime while trying to save the lives of others will be observed. 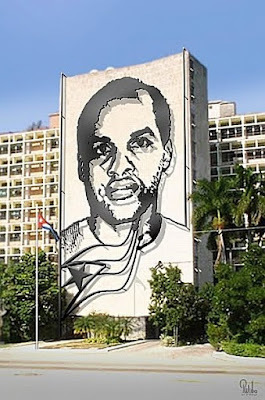 One year ago on February 23, 2010 at 3:00pm Cuban prisoner of conscience Orlando Zapata Tamayo died after 83 days on hunger strike demanding an improvement of treatment for all prisoners. He was demanding an end to systematic abuse and torture that has been documented in Cuban prisons. Prison officials responded to his water only hunger strike by denying him water, in an attempt to break his spirit, but instead contributed to his death. 15 years ago on February 24, 1996 three Brothers to the Rescue planes searched the Florida Straits for Cuban rafters. Cuban MiGs provided information by Cuban spies that had infiltrated the group hunted them in international airspace and shot down two of the small civilian planes with air to air missiles leading to the deaths of Carlos Costa, Pablo Morales, Mario De La Peña, and Armando Alejandre. Studies on Cuban rafters state that tens of thousands of rafters have died trying to reach freedom. Brothers to the Rescue came into existence in 1991 precisely to save lives and in the end saved thousands of refugees. Mohandas Gandhi’s observation that “[t]he willing sacrifice of the innocent is the most powerful retort to insolent tyranny that has yet been conceived by God or man” has been proven right in the above mentioned events and in events unfolding in Cuba today. Since January 28, 2011, Alejandrina García de la Riva has been on a water only hunger strike demanding that her husband, Diosdado González Marrero, an Amnesty International prisoner of conscience imprisoned since 2003 be freed. On February 1 Diosdado González Marrero and another prisoner of conscience from 2003, Pedro Arguelles Morán went on hunger strike demanding their own freedom and the freedom of nine other prisoners of conscience imprisoned during the Black Cuban Spring in 2003. On Friday, February 4, 2011 Angel Moya Acosta, an Amnesty International prisoner of conscience also imprisoned during the 2003 crackdown was told that he would be released from prison. Angel rejected the offer saying that prisoners of conscience Guido Sigler Amaya, Pedro Arguelles Moran, Librado Linares and Eduardo Díaz Fleitas all suffering from illness be released first. It is important to raise awareness about Alejandrina, Diosdado, Pedro and Angel in their efforts to save lives and demand freedom for prisoners of conscience imprisoned since 2003 who should never have spent a day in jail much less 8 years. Their courageous stand needs to be recognized and honored and in doing so provide them with a measure of protection. On June 22, 1963 in a speech in Detroit, Michigan Martin Luther King Jr said that “If a man hasn't discovered something that he will die for, he isn't fit to live.” All of these men and women have not only demonstrated that they are fit to live but that they are moral exemplars that all can learn from. An international call has been made to all people of good will to join in a 24-hour water only fast starting at 3pm on February 23, 2011 the day and time that Orlando Zapata Tamayo died on hunger strike followed by a silent vigil the following day from 3:21pm to 3:28pm to correspond with the times Carlos Costa, Pablo Morales, Mario De La Peña and Armando Alejandre Jr. were shot down on February 24. They all demonstrated with the lives they led and by how they died that the Bible passage, John 15:13 is as relevant as ever: No one has greater love than this, to lay down one's life for one's friends. Armando Alejandre Jr, Carlos Costa, Orlando Zapata Tamayo, Mario De La Peña and Pablo Morales live on in the lives they saved and in the memories of all who know them. In rejecting hatred and vengeance while embracing love and justice they are honored and the cruel totalitarian dictatorship in Havana exposed for the evil and life destroying system that needs to be changed. Mohandas Gandhi’s observation that “[t]he willing sacrifice of the innocent is the most powerful retort to insolent tyranny that has yet been conceived by God or man” has been proven right in the above-mentioned events and in events unfolding in Cuba today. 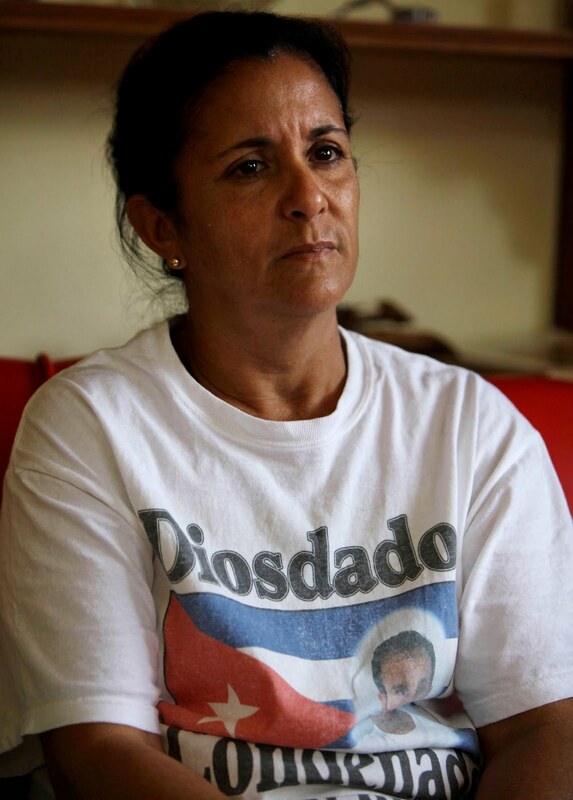 Since January 28, 2011, Alejandrina García de la Riva has been on a water-only hunger strike demanding that her husband, Diosdado González Marrero, an Amnesty International prisoner of conscience imprisoned since 2003 be freed. On Feb. 1 Diosdado González Marrero and another prisoner of conscience from 2003, Pedro Arguelles Morán went on hunger strike demanding their own freedom and the freedom of nine other prisoners of conscience imprisoned during the Black Cuban Spring in 2003. On Feb. 4, Angel Moya Acosta, an Amnesty International prisoner of conscience also imprisoned during the 2003 crackdown was told that he would be released from prison. Angel rejected the offer saying that prisoners of conscience Guido Sigler Amaya, Pedro Arguelles Moran, Librado Linares and Eduardo Díaz Fleitas, all suffering from illness, be released first. It is important to raise awareness about Alejandrina, Diosdado, Pedro and Angel in their efforts to save lives and demand freedom for prisoners of conscience who should never have spent a day in jail. Their courageous stand needs to be recognized and honored and, in doing so, provide them with a measure of protection. An international call has been made to all people of good will to join in a 24-hour water-only fast starting at 3 p.m. on Feb. 23, the day and time that Orlando Zapata Tamayo died on hunger strike followed by a silent vigil the following day from 3:21 p.m. to 3:28 p.m. to correspond with the times Carlos Costa, Pablo Morales, Mario De La Peña and Armando Alejandre Jr. were shot down on Feb. 24. They all demonstrated with the lives they led and by how they died that the Bible passage, John 15:13 is as relevant as ever: No one has greater love than this, to lay down one’s life for one’s friends. Following the collapse of the Soviet Union and the opening up of the archives there and elsewhere it was revealed that the crimes of communism had caused the deaths of 100 million human beings and counting where it is still being applied around the world. One cannot forget that beyond the body count there was also spiritual wreckage generated from regimes that required friends and family members to spy on each other and betray each other for the sake of the totalitarian state. [A] dictatorship represents absolute evil for a country, a source of brutality and corruption and profound wounds that take a long time to close, poison the nation’s future, and create pernicious habits and practices that endure for generations and delay democratic reconstruction. This is why dictatorships must be fought without hesitation, with all the means at our disposal, including economic sanctions. 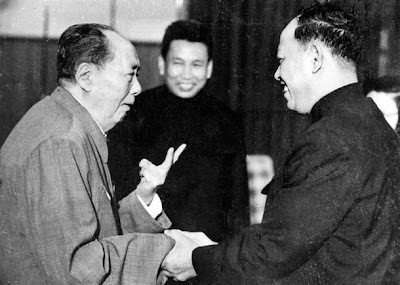 It is regrettable that democratic governments, instead of setting an example by making common cause with those, like the Damas de Blanco in Cuba, the Venezuelan opposition, or Aung San Suu Kyi and Liu Xiaobo, who courageously confront the dictatorships they endure, often show themselves complaisant not with them but with their tormenters. Those valiant people, struggling for their freedom, are also struggling for ours. Resistance to evil, although it may appear as an act of rebellion when dealing with an unjust ruler, it is in reality engaging in one’s duty. In the same manner that battling your own vices and appetites may appear to be self-denial but in reality is an act of self-liberation. The Universal Declaration of Human Rights is a guideline that can help us on our path toward justice and truth but it is not the road itself. Above all, clear and unequivocal solidarity with all those confronted by totalitarian or authoritarian regimes wherever they are in the world. And economic or other particular interests should not hinder such solidarity. Even a minor, discreet and well-intentioned compromise can have fatal consequences– even if only in the long term, or indirectly. One must not retreat in the face of evil, because it is in the nature of evil to take advantage of every concession. Besides, Europe has already had its own unfortunate experience of appeasement policies. Our support can help open-minded people or outspoken witnesses to the situation in North Korea, Burma, Iran, Tibet, Belarus, Cuba or anywhere else, much more than we think. About five hours ago Cuban youth leader and human rights activist Rolando Rodriguez Lobaina tweeted: "Today Néstor marks 2 months of unjust political prison in Guantanamo. Until when the arbitrariness? Free them all now!" He is referring to his brother and fellow activist Néstor Rodríguez Lobaina beaten and imprisoned on December 9, 2010 by agents of the Cuban regime in an effort to preempt non-violent activities planned for International Human Rights Day on December 10. Just two days ago, on February 7, 2010 ten Cuban prisoners of conscience imprisoned since March of 2003 or longer observed the passage of the third month since the Cuban regime's self imposed November 7 deadline announced on July 7, 2010 to release all Cuban prisoners of conscience from the Cuban Black Spring. 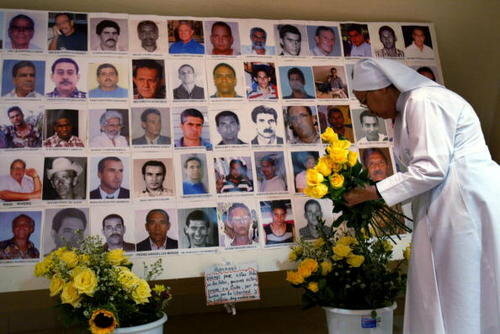 The ten remaining activists in prison from the 2003 Black Spring are: Pedro Arguelles Moran; Oscar Elias Biscet Gonzalez; Eduardo Diaz Fleitas; Jose Daniel Ferrer Garcia; Diosdado Gonzalez Marrero; Ivan Hernandez Carrillo; Librado Ricardo Linares Garcia; Hector Fernando Maseda Gutierrez; Angel Moya Acosta and Felix Navarro Rodriguez. The regime is pressuring these Cuban democrats, independent journalists, and human rights activists to opt for exile in Spain or remain in prison. Driving some of them and their family members to stage hunger strikes for their freedom before being promised that this will be resolved shortly. Pedro Argüelles Morán ended his hunger strike today on February 9 after nine days after being visited by a Cuban state security agent who told him that he and the other prisoners would shortly be freed. Time will tell if this representative of the regime is lying or not. "When I despair, I remember that all through history the way of truth and love has always won. There have been tyrants and murderers and for a time they seem invincible, but in the end, they always fall — think of it, always." Amnesty International has urged the Cuban authorities to release immediately and unconditionally all prisoners of conscience, following the release of a human rights activist who refused to go to exile in Spain. Guido Sigler Amaya was freed on Friday. He had been held since 2003 and was among 52 prisoners of conscience the authorities agreed to release last July as a result of talks between the Roman Catholic Church and Cuban President Raul Castro. Since the releases were announced in July, 40 prisoners of conscience have been freed and gone into exile in Spain. Only Arnaldo Ramos Lauzerique, released in November 2010 has been allowed to stay in Cuba. Ten prisoners of conscience remain detained by the authorities. 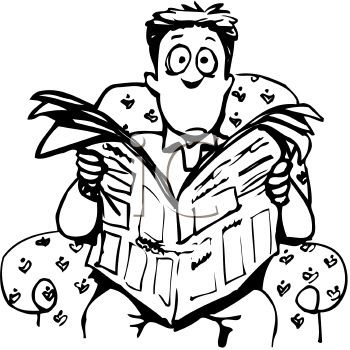 "The release of Guido Sigler is great news. The Cuban authorities must now ensure that the ten remaining prisoners of conscience, arrested for the peaceful exercise of their right to freedom of expression and assembly, are released immediately," said Javier Zuñiga, special adviser at Amnesty International. "Once they are free, these activists should be allowed to carry out their legitimate work without fear of reprisals." Guido Sigler was among 75 people arrested in March 2003 as part of a mass government crackdown on opposition figures and activists. Most were subjected to hasty and unfair trials in early April and quickly sentenced to long prison terms. Guido Sigler was sentenced to 20 years in prison for "counter revolutionary activities", which included demanding the release of political prisoners. Guido Sigler is a member of the opposition group the Alternative Option Movement (Movimiento Opción Alternativa) in Matanzas Province, north-west Cuba. He was arrested along with his brothers Ariel and Miguel. They were released in June 2010 and January 2005 respectively. The ten remaining activists in prison are: Pedro Arguelles Moran; Oscar Elias Biscet Gonzalez; Eduardo Diaz Fleitas; Jose Daniel Ferrer Garcia; Diosdado Gonzalez Marrero; Ivan Hernandez Carrillo; Librado Ricardo Linares Garcia; Hector Fernando Maseda Gutierrez; Angel Moya Acosta and Felix Navarro Rodriguez. 15 years ago on February 24, 1996 three Brothers to the Rescue planes searched the Florida Straits for Cuban rafters. Cuban MiGs provided information by Cuban spies that had infiltrated the group hunted them in international airspace and shot down two of the small civilian planes with air to air missiles leading to the deaths of Carlos Costa, Pablo Morales, Mario De La Peña, and Armando Alejandre Jr. Studies on Cuban rafters state that tens of thousands of rafters have died trying to reach freedom. Brothers to the Rescue came into existence in 1991 precisely to save lives and in the end saved thousands of refugees. The totalitarian dictatorship in Havana exposes itself as the evil and life destroying system it is, by slandering its victims in a systematic effort to spread the "big lie," and in doing so expose the profound spiritual corruption it suffers from and the need for the regime to end in favor of a free society where all Cubans have a right to say what they think and associate freely without fear and enjoy all their fundamental human rights as was done in most of Eastern Europe between 1989 and 1991. Armando Alejandre Jr, Carlos Costa, Orlando Zapata Tamayo, Mario De La Peña and Pablo Morales live on in the lives they saved and in the memories of all who know them. In rejecting hatred and vengeance while embracing love and justice they are honored. Oscar's Cuba Filmmaker Jordan Allott talks with Dr. Oscar Biscet from his Havana prison on January 20, 2011. 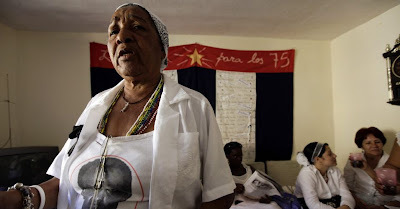 Cuban Prisoners of Conscience Diosdado González Marrero and Pedro Argüelles Morán joined Lady in White Alejandrina García de la Riva on hunger strike demanding freedom for eleven prisoners of conscience imprisoned during the 2003 Cuban Black Spring. They were supposed to have been freed by November 7, 2010 following the death of Orlando Zapata Tamayo and negotiations with the Ladies in White with the Cuban Catholic Church as mediator. The pair, who began a hunger strike Tuesday, has turned down the offer to move to Spain and is demanding to be released in Cuba. Gonzalez and Arguelles's protest is in solidarity with Gonzalez's wife Alejandrina Garcia, who has only been drinking water since Friday. "I will not stop this hunger strike until he is released," Garcia told AFP in a phone call from her home in central Cuba. "The government has made a mockery of these 11 men." Laura Pollan, leader of the Ladies in White -- a group of relatives of the jailed dissidents -- visited Garcia, a 44 year-old agronomist, on Wednesday. She said she failed to dissuade her from continuing the hunger strike. "The government has raised false expectations, because it said that everyone in the group would be released, including those who reject leaving the country, but that has all been a lie," said Pollan. Pollan's husband Hector Maseda is one of the jailed dissidents. On February 2, 2011 Yoani Sanchez was able to upload a video recorded on Tuesday, February 1, 2011 in which Lady in White Alejandrina García de la Riva describes her physical state on the fifth day of her water only hunger strike. 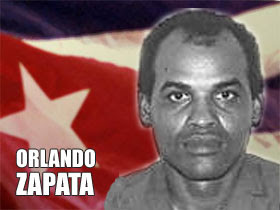 The Free Cuba Foundation, a student movement founded at Florida International University in 1993 has issued an international call for all people of good will to join in a 24-hour water only fast starting at 3pm on February 23, 2011 the time one year to the day that Orlando Zapata Tamayo died on hunger strike. The following day from 3:21pm to 3:28pm to hold a silent vigil to correspond with the times when two Brothers to the Rescue planes were shot down killing Carlos Costa, Pablo Morales, Mario De La Peña and Armando Alejandre Jr. pictured below. Orlando, Carlos, Pablo, Mario and Armando paid the ultimate price in trying to save the lives of others and merit both remembrance and honor for their sacrifice. At the same time all people of good will should try to raise awareness about Alejandrina, Diosdado and Pedro in an effort to save their lives and demand the freedom of eleven prisoners of conscience imprisoned since 2003 that should never have spent a day in jail much less 8 years. I must affirm that it is just as wrong, or perhaps even more so, to use moral means to preserve immoral ends. [...]As T. S. Eliot has said: "The last temptation is the greatest treason: To do the right deed for the wrong reason." - Martin Luther King Jr.
An Urgent call from the Egyptian demonstrators who are defending their country and for their right to live a free respectable life. We appeal to all human rights organizations and to all the defenders of freedoms and human rights and all the free honourable media inside and outside Egypt to interfere immediately and support our peaceful demonstrations from the savage attack of the security against the demonstrators using all kinds of weapons, knives, gas bombs and Molotov bombs electric sticks to spread fear among the demonstrators and this is illegal in any place in the world and against all human rights concepts. The victims till now today are 230 victims, killed and injured... and the security is protecting those criminals. We need the help and support of all human rights organizations and all defenders of freedom all over the world to stop this massacre.. Such outbursts indicate that there is a long way to go for peace in the Middle East and that an armed peace with an authoritarian regime is not a permanent one. Let me underline that what follows is speculation from someone much more familiar with Latin America and Cuba specifically. However, since reading a good comparative peace on events in Tunisia from a Cuban perspective inspired the following notes and observations. 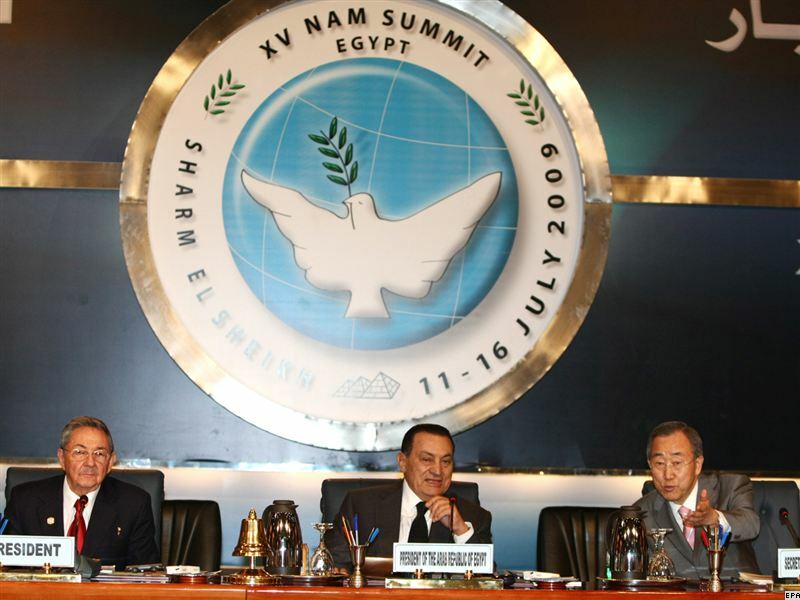 Asmaa Mahfouz, the young women speaking in the video above, was one of the voices that helped to spark the nonviolent uprising against Hosni Mubarak in Egypt. When confronting an entrenched dictatorship with powerful interests and repressive capabilities one must have a great deal of courage which Egyptians have demonstrated during these protests. The protesters accused Mubarak's regime of unleashing a force of paid thugs and plainclothes police to crush their unprecedented, 9-day-old movement demanding his ouster, a day after the 82-year-old president refused to step down. They showed off police ID badges they said were wrested from their attackers. Some government workers said their employers ordered them into the streets. In Cuba, peacefully marching women dressed in white have been beaten up by Castro's rent-a-mobs and state security agents in the streets of Havana . In the video below one can see the women, known as the Ladies in White, marching through the streets without interference and with onlookers applauding. Later in the same video (towards the end) with the regime's rent a mobs the women are beaten up and state security agents drag them on to regime vehicles. Opposition democrats have had their home surrounded by these regime organized mobs bussed in to harass and assault non-violent activists. The video below was taken in 2010 at the home of Sara Marta Fonseca. In 1980 and 1994 when mass uprisings occurred the rent-a-mobs along with plain clothes security agents armed with fire arms attacked nonviolent demonstrators. Photos taken below on August 5, 1994 by Karel Poort when Cubans took to the streets chanting freedom and down with Castro. Plainclothes security responded by firing into the crowd and detaining demonstrators. Seeing, that same kind of behavior by the Egyptian authorities is troubling to say the least. The photos below taken by Amnesty International are but just two of many. In both cases the regimes use provocateurs and rent-a-mobs to generate violence to justify security forces and the army cracking down. The description offered by the journalist below complete with a rescue by the military sounds a lot like an operation conducted by the security services. The Cuban regime has done this to both diplomats and journalists in Cuba. The challenge to the civic movement is to maintain non-violent discipline during the struggle. If this is accomplished then the violence perpetrated by the regime and its agents boomerangs against the regime speeding up its loss of legitimacy and eventually power. On the other hand if non-violent demonstrators outraged by the atrocities resort to violence then all bets are off and the regime paradoxically has better odds of survival. Comparative 2008 study by Maria J Stephan & Erica Chenoweth found that between 1900-2006 violent resistance succeeded 26% versus nonviolent resistance that succeeded 53% and the same study demonstrated that terrorism had only succeeded 7% of the time. Regime's like Castro's and Mubarak's know this and try to manipulate the situation to drive the opposition towards embracing violence because it will reduce the likelihood of success. The video above by nonviolent expert Michael Nagler about Iranian uprising in 2009 is applicable to Egypt. Offers concrete recommendations for long term action. Please offer comments and opinions below. I especially welcome Egyptians to offer their opinions and hold me to account.